Why Are We So Reluctant to Manage Obesity as a Disease? When the American Medical Association and other medical establishments declared obesity a disease in 2012 and 2013, many people thought that it represented a tipping point in the fight against obesity. The hope was that these steps would generate more interest and resources for medical community to tackle this epidemic. Unfortunately, over past 2 years, the medical establishment,employers, insurances, and society have been slow, if not reluctant, to change the way they perceive and handle individuals with increased weight or BMI. In medical schools across the country, physicians are still commonly taught that people are overweight or obese because they make bad choices. Getting them to make the right choice was a matter of education, willpower, and patient ‘compliance.’ Physicians exhibit a strong bias towards obese patients and studies have shown that doctors are 35% less likely to establish emotional rapport with overweight and obese patients than with their normal-weight patients. Why are we so reluctant to get serious about treating obesity? What will it take before we stop perceiving weight as risk factor and start managing it like disease? There are many assumptions and myths in society and within the medical profession that are preventing us from making this transition. Myth 1: Willpower and Individual Choice. We are unaware of up to 70% of the food-related decisions we make on a daily basis. The Food and Brand Lab at Cornell University has clearly shown environmental factors (emotions, culture, economics, menu sizes,pricing, packaging, and plate sizes) all play an equal if not larger role in what we eat than our active choices. Recent studies have shown that our food preferences are heavily influenced during our first year of life and potentially even during pregnancy, especially our taste preference for sugar. There is growing evidence that a high-fat high-carb diet may lead to inflammation in our hypothalamus preceding weight gain. The hypothalamus is a central part of our brain that regulates hunger and appetite. This suggests that exposure to a high-fat high-carb diet(which is hard to avoid in our current food landscape) may cause permanent changes in our ability to regulate our appetite. Myth 2: Eat less, Exercise More. The most common advice that physicians give patients is that they simply need to eat less and exercise more. Problematically, it does not work equally for every body. On average, only 40%, 20% and 5% of people who participate in an exercise and diet program for one year are able to lose 5%, 10%, and 15% of their weight, respectively. We are quick to try to explain failure by assigning blame to lack of willpower or compliance. However, very well controlled studies have shown that some people do not respond equally to exact same diet and activity regimen. The variability in response to exercise and diet is not the result of a lack of adherence or laziness but is caused by real biologic and hormonal differences that we are now only starting to understand. 90-95% of people who are able to lose that weight eventually regain thereafter. The reason people regain weight after they lose is not simply that they go back to their old eating habits or start making bad choices but rather because weight loss leads to changes in at least 8 hormones that drive weight regain. This again has been demonstrated in clinical studies. An inability to lose weight is often a source of major frustration for individuals and the biases and stigma associated with failure leads to low self-esteem, depression, and tension. This is a huge burden to carry. One of the first things that I do as a physician is to explain to patients who have struggled repeatedly with strict diets without success is that they are fighting very strong metabolic, biochemical, and hormonal tides. This assurance not only lifts unjustified guilt and tension but is the first step in healing by building confidence in their ability to overcome the disease process. 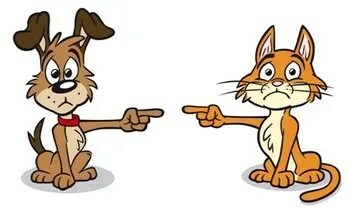 Myth 3: Nice way to avoid responsibility–put the blame elsewhere. Many people have expressed concern that by calling obesity a disease we are removing individual’s responsibility in the process. “Its not my fault I am overweight, so I will not do anything about it.” By labeling it a disease, we are disempowering people from taking control and increasing pessimism about recovery. I have to say that this prevailing belief irks me the most. Humans are complex beings and during my time as physician I have seen a wide array of engagement and empowerment amongst patients across a wide spectrum of diseases from cancer to alcoholism. What creates a sense of empowerment usually has more to do with the structure of their healthcare community than it does with the disease. Factors such as community, provider relationships, shared-decision making, and education make all the difference. Before starting Enara Health, I interviewed many adults with type I(an autoimmune disease-aka not your fault) and type II diabetes(a lifestyle disease- like obesity). I came to learn that adults with type I diabetes had a far more active, engaged, and positive response to dealing with their disease. Many people with type II diabetes often spoke about a period of denial and underlying that was a feeling of guilt that their type II diabetes was their fault. More people with type I diabetes saw their disease as a challenge that they could overcome, while people with type II diabetes saw their disease as a reminder of their failures. Understanding obesity as a disease can be empowering. It allows individuals to understand that their weight does NOT define their character. It is a challenge that they can definitely overcome. More importantly, this makes it easier to seek help and support in the process of recovery. Myth 4: Medicalizing Obesity will lead to unnecessary procedures. There is a justified concern amongst policy and medical professionals that medicalizing obesity may open a door for doctors to overprescribe procedures and medications while ignoring the role of lifestyle modification in treatment. I perfectly understand this justification as the medical community has done similarly with type II diabetes and high cholesterol. Most physicians focus exclusively on medications for high cholesterol or type II diabetes treatment despite the mounting evidence that lifestyle changes can prevent and/or reverse part of the disease process. Here are 3 reasons to be more hopeful that this will not be the case with obesity as new medications and procedures are brought to market. Bariatric surgery and procedures have always included a huge emphasis on lifestyle change. Usually, these procedures require patients to make changes before and continue those changes after the procedure. All FDA approved weight loss medications are only approved to work on top of a diet and exercise program. I would not be surprised if insurances start to cover more of these medication but limit their prescription to physicians who have an established concomitant nutrition, exercise, and behavioral programs. Physicians who treat obesity whether surgically or medically tend to view surgeries, procedures, and medication as enablers or tools to help people make the lifestyle changes they need to live healthier lives. This attitude is drastically different than traditionally medical establishments that pushes medications with the belief that people are unlikely to make changes. My main objective when I treat increased weight or BMI is to get people to lose enough weight so they no longer need their cholesterol or blood pressure medications or to prevent those conditions in the first place. 69% of Americans are overweight or obese. If obesity was so easy to treat then we would not have such a large epidemic. Cultural, political, and economic environments have played a large role in making us obese, but we now also know that excess fat acts as an entity that releases, inhibits, and changes multiple hormonal and biochemical changes that lead to other disease states(diabetes, hypertension, high cholesterol, obstructive sleep apnea). This is why it is very difficult to lose weight. It is why despite the best efforts of certain people, they keep gaining weight or are unable to keep it off. The relationship is now becoming clearer and stronger that excess weight is often the cause. So why are we so reluctant to increase the arsenal by which we treat it? Obesity is not simply a problem of failed willpower. Solving it will require far better treatments than slogans and fad diets. Solving it will require society, physicians, and insurances companies to be open to new ideas and strategies. This will include better regulatory food policies, cultural and social transformations, support from insurances for intensive medical, behavioral, nutritional programs, and new procedures and more drugs that can help balance hormones and appetite. If you are interested in learning more about our medical weight loss program or scheduling an appointment, please call 650-319-8654 or fill out the form below.